Tommy “Clutch” Creal stops by to take us through a step by step tear down of the stock M8 Road Glide. He shares some insights on the stock Harley-Davidson Milwaukee Eight and how some simple cost effective upgrades will gain some horsepower and some customization. We’ll be adding each step of the way as the videos come out of editing. 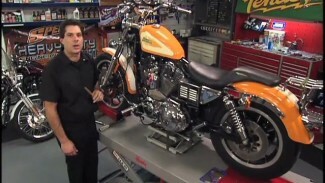 Make sure you have watched all the Milwaukee Eight maintenance videos here on Fix My Hog. Now let’s look at set-up #1.